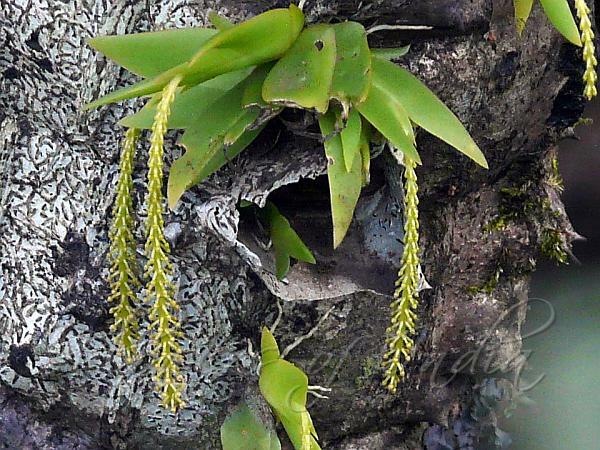 Falconer's Oberonia is a an orchid which grows hanging underneath the branches of its host plant. Leaves are lance-shaped, 3-8 cm long, with pointed tips. Flowers are born in slender raceme, 5-15 cm long. Greenish- yellow flowers, 1.5 mm across, are spirally arranged. Sepals and petals are 1.2 mm, yellow. Greenish yellow lip is 2 mm, 3-lobed - mid lobe 3-5 times as long as lateral lobes. 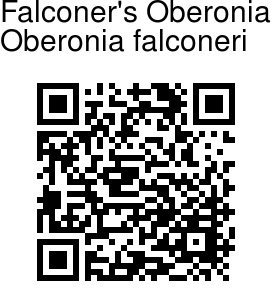 Falconer's Oberonia is found in the Himalayas, as well as in Western Ghats. Flowering: September-October.